Anyone who's ever owned a dog or cat knows that they will lay claim to any and all furniture in your home, unless they're trained otherwise. It's a reality that keeps the lint roller industry in business. But what if instead of a cozy spot on your couch or a nook on the shelf, they had a whole set of tiny furniture just like yours all to themselves? 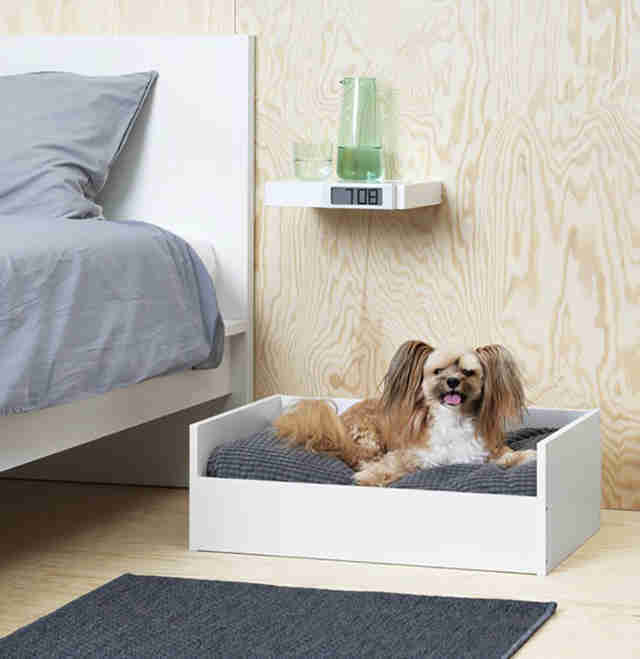 Thanks to IKEA, now they can. 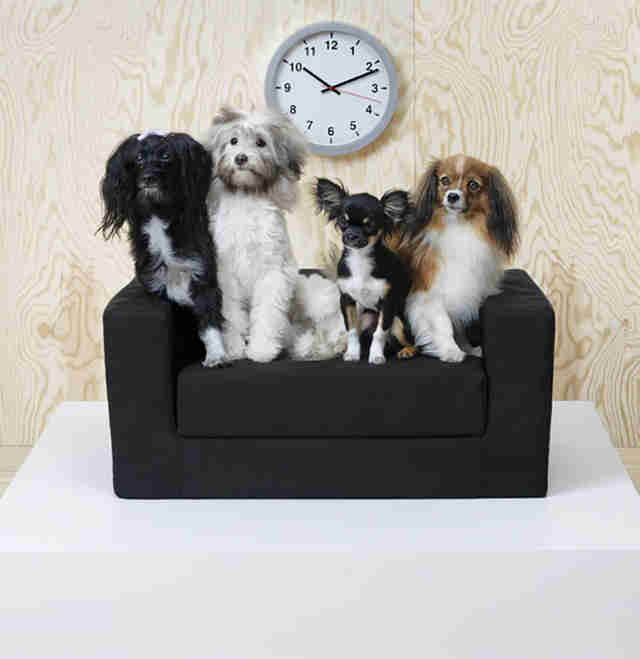 The Scandinavian home goods giant just unveiled a brand new collection of special furniture and accessories designed specifically for pets. 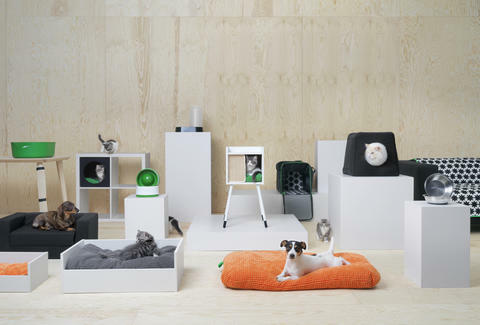 The LURVIG Collection, as it's called, features more than 70 items, including a number of different beds, cushions, "houses," and scratching mats to keep your four legged friends occupied and comfortable. The company claims it consulted veterinarians to make sure everything was as pet friendly as possible. The collection also includes more utilitarian stuff like leashes, food dishes, and litter box accoutrement, most of which is under $5. 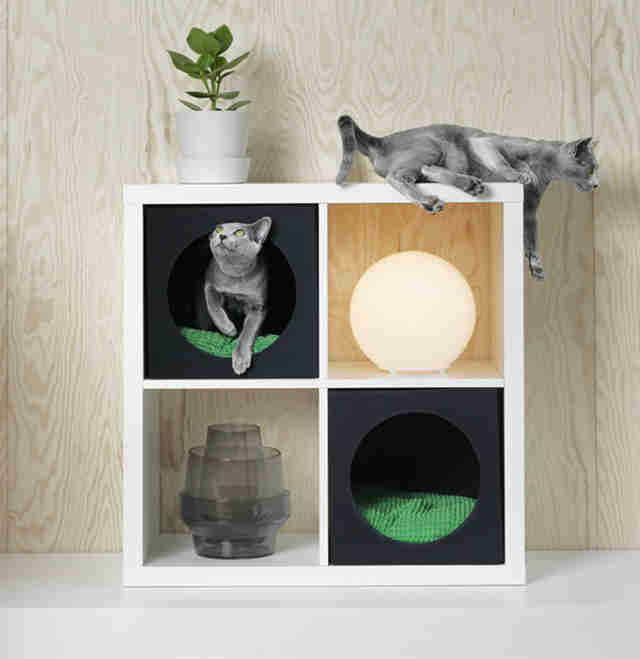 All in all, the whole line is very affordable, with the priciest item -- a decked out cat house on a pedestal -- costing $54. Aesthetically, the whole lineup looks and feels like IKEA's furniture for humans, so it should match fairly well with whatever unpronounceable bookcases, armchairs, carpets, lighting, or other housewares you've assembled and/or accumulated from the store over the years. However, you'll be happy to know that since everything is pet-sized, almost nothing in the LURVIG collection has to be put together.